Village Voice’s Siren Music Festival is back for the tenth year. 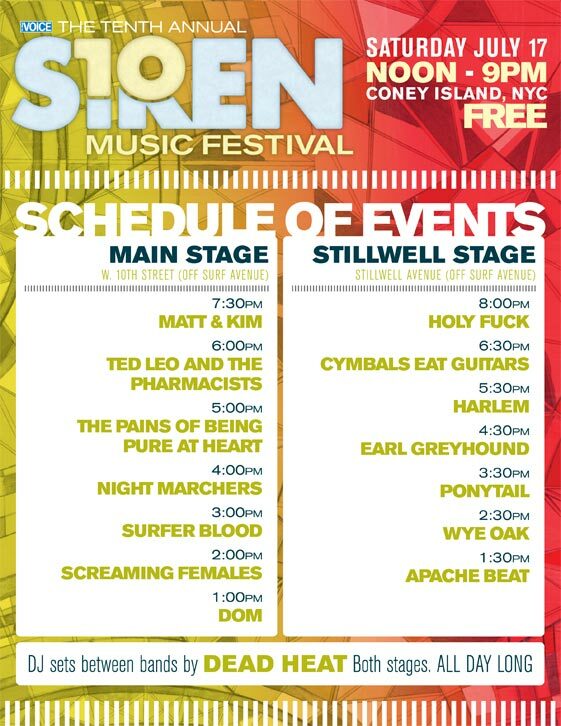 This mega free music festival features many of the top Indy Rock artists in New York City’s playground – Coney Island. This is an event that should not be missed.